Sunday, July 15th from 1-3 pm! Completely renovated home with so much character! Columbus taxes and Westerville Schools! Porch to front door has new carpet and paint. Enter upon the Living Room with a wood burning fireplace, new laminate floors and fresh paint throughout. Arched walkway to the Dining Room. 2 Bedrooms and full Bath on the first floor! Kitchen has been updated with mosaic tile backsplash, new countertops, and new appliances! 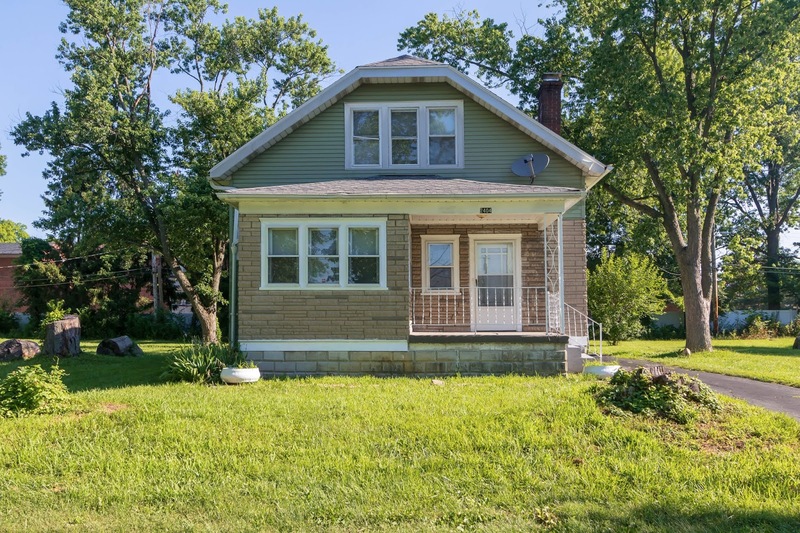 Conveniently located side door to outside and easy access to the full Basement. Lower Level has new wiring, newer hot water heater and new concrete! Upper Level has an additional two Bedrooms with new carpet, vaulted ceilings and updated full Bath! Private backyard with possible place for Garage. Vacant side lot is also available for sale separately!! 4 BRs and 2 Baths. Nearly 1,400 SF! Only $134,900! Call DeLena Today!